At McMaster Gallery, we provide the utmost professional Art Restoration with 35 Years experience. Extensive retouching of damaged Artwork. Cleaning of Artworks, removal of environmental contaminants such as smoke, dust, etc. Replacement of stretcher bar including re-stretching of Artwork. 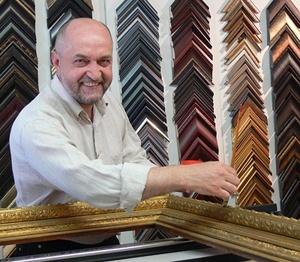 Repairing of Frames including Gold leaf application. Art restoration prices depend on size and condition of the individual Artwork. We can inspect your Art and offer a quote at no charge, anytime at the Gallery.